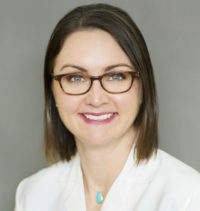 Dr. Kathryn Barlow has joined the team of Dermatology Consultants physicians offering online visits, also known as teledermatology. Our teledermatology visits mirror in-office visits with one of our Board-certified dermatologists reviewing and diagnosing your condition and providing a treatment plan, including any prescriptions that may be necessary. Online visits let you consult our dermatologists on your schedule from the convenience of your home or office. Learn more about online visits. Our teledermatology is safe and secure. Dr. Barlow’s areas of interest include general medical and cosmetic dermatology, as well as laser treatments, minor dermatologic surgery and skin cancer treatment. If Dr. Barlow determines your condition requires in-person evaluation, you will be referred for an office appointment. Dr. Barlow practices at our Eagan office. Dr. Barlow was recently named a 2018 Top Doctor by Minnesota Monthly magazine. Learn more about Dr. Barlow. Schedule your online visit with Dr. Barlow today! Online Dermatologist Visits with Teledermatology In "News"
Three Dermatology Consultants Physicians Receive Top Doctors for Women 2018 Award In "News"